Priced at €140 (Rs 10,000), the cheapest handset in Nokia's Lumia lineup packs in a 1 GHz dual-core Snapdragon S4 processor and 512 MB of RAM. Nokia seems to be having a field day at this year's MWC as it unveiled two Lumia phones alongside two budget feature phones. 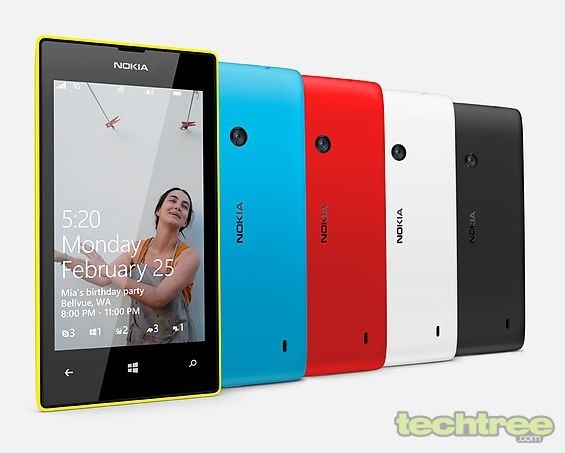 While the Lumia 720 falls in the mind-range WP8 handset segment, the Lumia 520 is an entry-level smart phone. Like the 720, this mobile phone also does not feature PureView technology, but its 5 MP camera with autofocus boasts of features such as Cinemagraph, Smart Shoot, and Panorama shots as in its older siblings. Another feature that the 520 borrows, apart from the design language, from the high-end Lumias is the super sensitive touch technology, which means that you can use the touchscreen wearing gloves or your fingernails with ease. WCDMA 900/2100, 850/1900/2100, GSM/EDGE 850/900/1800/1900. 8 GB of internal storage; 7 GB free SkyDrive storage. microSD card support for expansion up to 64 GB. 4" IPS LCD WVGA, with pixel dimensions of 480x800 (235 ppi). Super sensitive touch for fingernail and glove use. 1 GHz dual-core Snapdragon S4 processor. 5 MP autofocus camera; supports HD (720p) video recording @ 30fps. Wi-Fi, Bluetooth 3.0, A-GPS (Glonass), 3.5 mm audio jack, Micro USB with charging, USB 2.0. 1430 mAh battery, talktime of 14.8 hours on 2G and 9.6 hours on 3G. Available Colours: Yellow, Red, Cyan, White, and Black. Like the 820, the Lumia 520 also comes with exchangeable shells, so you can give it a new look every time you want to. The handset is priced at €139 (Rs 10,000) before taxes and subsidies. The phone is expected to start shipping by March 1st, to Hong Kong and Vietnam. Considering that the product page is up on the Nokia India website, it should arrive here soon.